June Hunt is a biblical counselllor and the founder of the award-winning Hope for the Heart radio program, heard on more than 900 radio outlets worldwide. For decades, June has counselled people, offering them Bible-based hope and practical help for today's problems - emotional, relational, and spiritual. 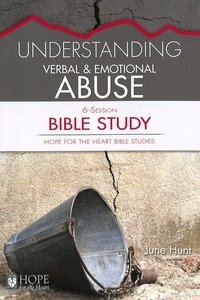 She is the author of numerous popular resources for people seeking help, including over thirty topical Hope For The Heart books, as well as the 31-day devotional Seeing Yourself Through God's Eyes, which is often used in counselling offices, churches and small group Bible studies.